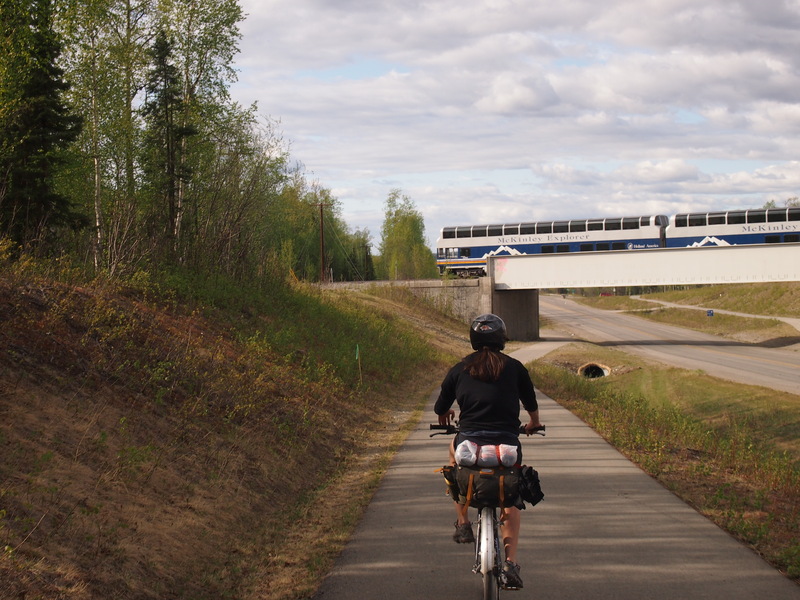 Leaving Anchorage, cycle paths shuttle you out of town alongside the Glenn Highway to Eagle River, and along the Old Glenn Highway to the town to Chugiak, about 25 miles out. 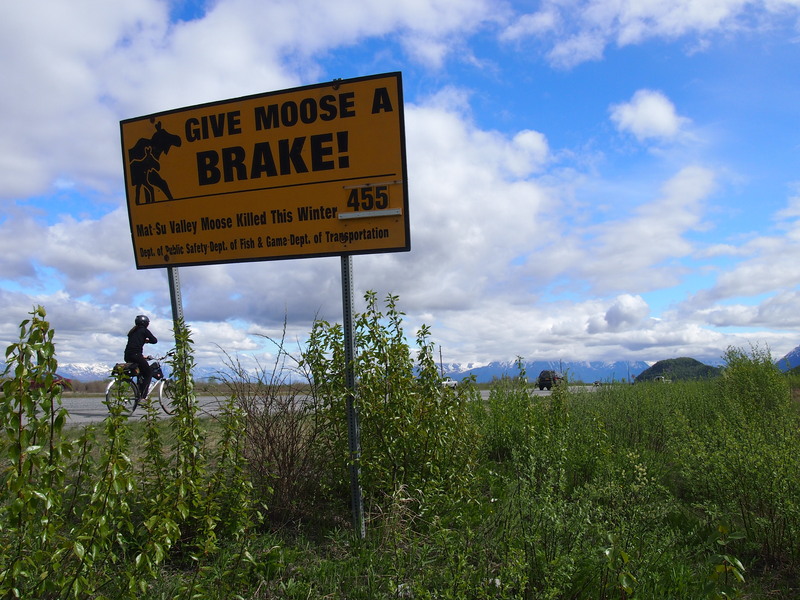 Here, you ride the broad shoulder of the Glenn Hwy for about 20 miles, crossing the Knik River plain until the path resumes in Wasilla alongside the Parks Highway. 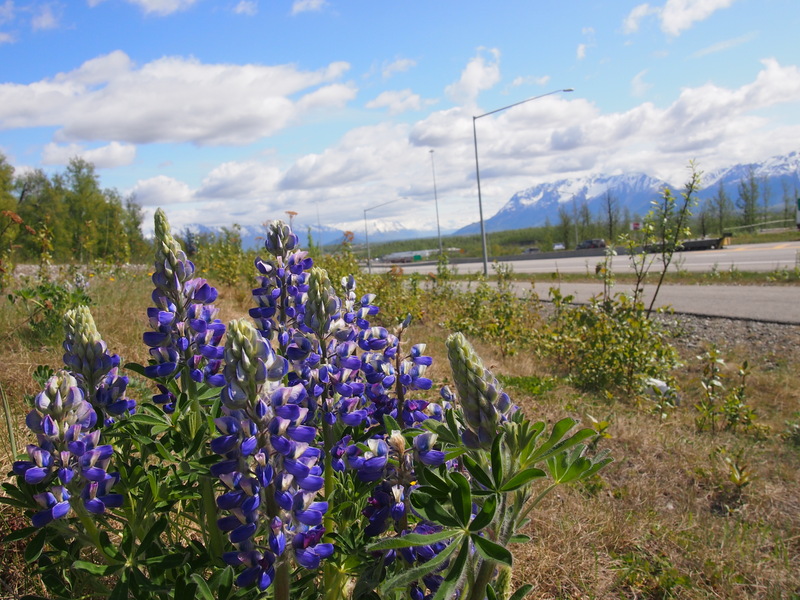 This is a good place to pick up any forgotten supplies, but it is not the last place to buy food, so there’s no need to overpack (the grocery at the Talkeetna turnoff is well stocked). The path continues through town, and passes within several blocks of the Alaska Bicycle Center if any repairs or parts are needed, which is located near the skate/bike park off Lucille St. (on W. Nelson Ave.) Follow the path on either side of the Parks Highway through Houston and on to Willow, at mile 68. The path ends, and from here to Denali the road has a broad shoulder and a rumblestrip, which acts as a buffer to traffic. 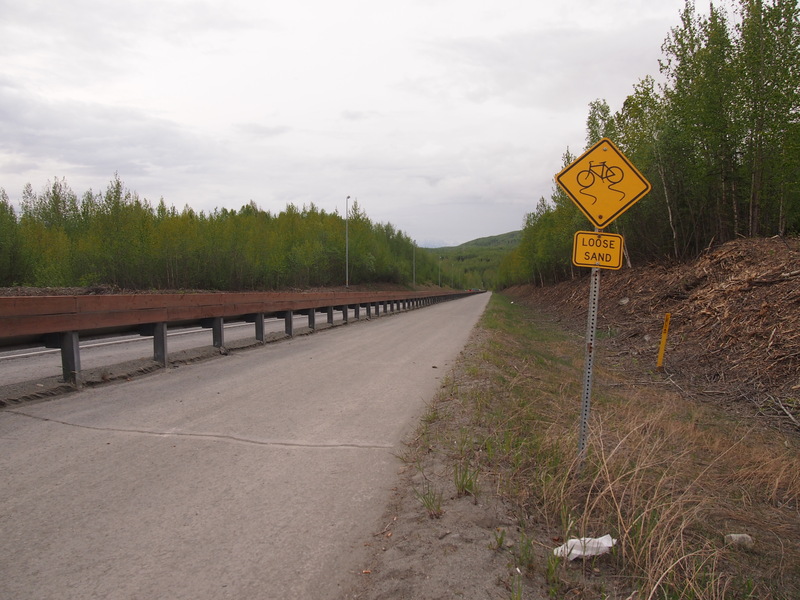 Only a short section south of the Talkeetna turnoff has a narrower shoulder, although is it safe, even with higher traffic volumes found during summer months. 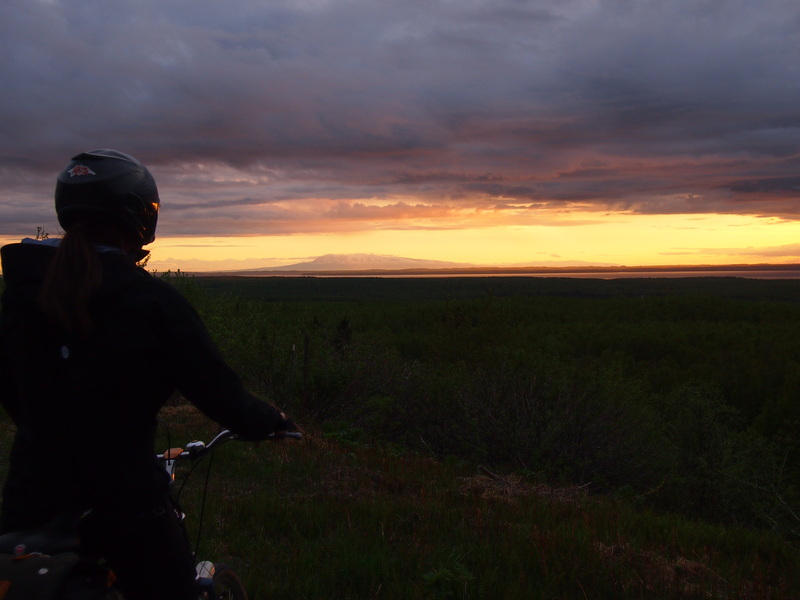 Overall, a pleasant escape from town, even if the full trip to Denali doesn’t suit your schedule. 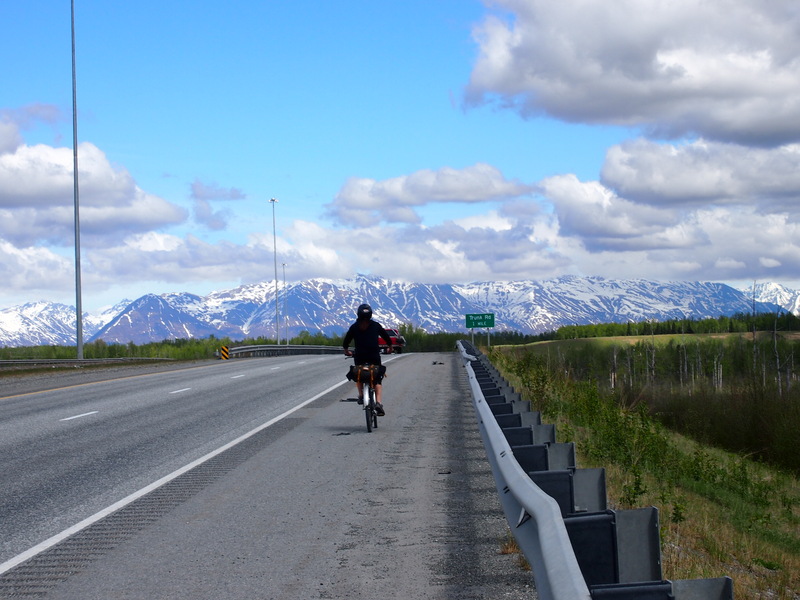 Lael joined me on the ride out to the cabin in Willow, as far as the bike path goes. I’ll be riding solo for a while, as she is off to Europe. 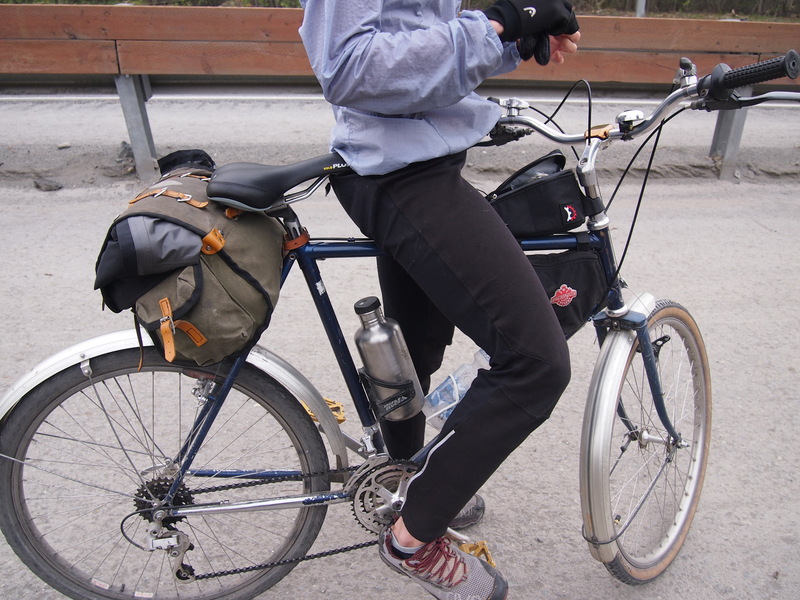 She packed all her gear for the two night trip into a Carradice Lowsaddle Longflap, a Revelate Gas Tank top-tube bag, and an Inertia Designs frame pack.